Making excuses for breaking New Year’s resolutions used to be a hell of a lot simpler. Now that we’ve got social media for every life choice and are wearing our fitness levels on our wrists, there’s really no reason not to keep up. Which isn’t to say, of course, that we all couldn’t use an extra jolt. Back in November, Apple offered another holiday-themed fitness challenge – a Turkey Trot-style 5K tied to Thanksgiving. 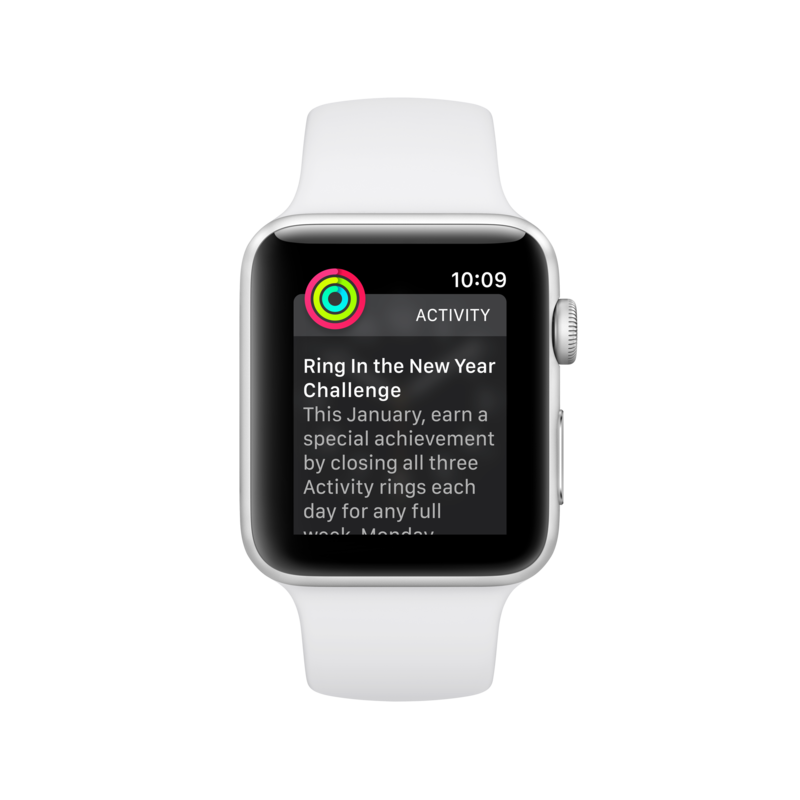 Naturally, the company will be doing something similar tied to the New Year – an update set to start rolling out to Apple Watch owners on December 28 that’s designed to extend the challenge for a full month. When they pop their watches on in the morning, they’ll be greeted by the Ring in the New Year Challenge set for January 2 (to give wearers an extra day to recover, one assumes), designed to get users to close all three of the Watch’s rings for a full week during the month. As with the Turkey Trot, Apple will be looking to make this a social event, with shareable achievements and goals for hitting a full week’s worth of activity in early January – or as we like to call it here, CES.